Razor-sharp. The new Sony Xperia Z features a 5-inch display with a resolution of 1920x1080 pixels and a corresponding pixel density of 443 ppi. In addition to the high-resolution display, the phone offers plenty of performance. The fairly substantial price of 650 Euros (~$850) raises expectations. 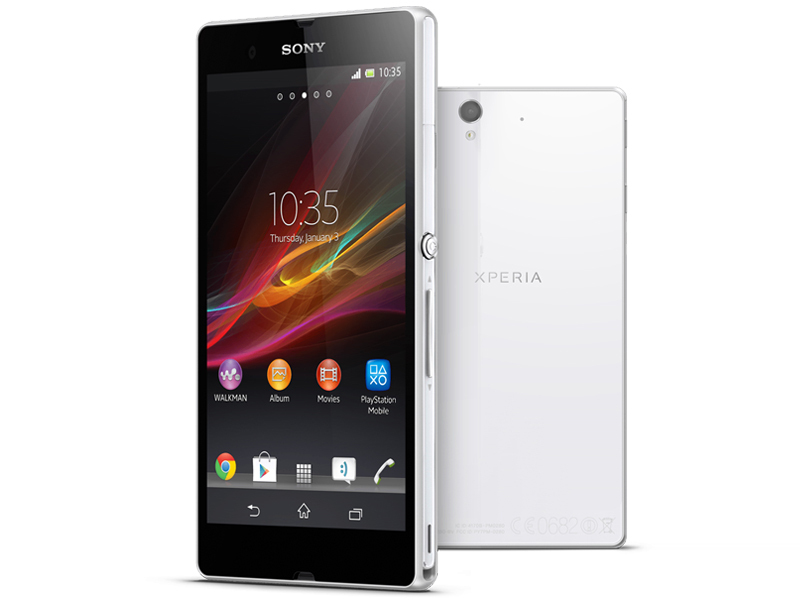 The Sony Xperia Z has the looks and the high-resolution screen to make it a worthy high-end smartphone. Currently, at least until the Samsung Galaxy S4 is released, its main competition is the similarly huge-screened HTC One. We prefer the HTC One's aluminium body, but if you don’t like the sweeping changes HTC has made to Android with its new Sense interface, you may prefer the more lightly-customised Xperia Z. There is so much to love about the Sony Xperia Z - and while there are some annoyances, they pale in comparison. Yes, we think it's a bit shoddy that we encountered software bugs, but we suppose they can be fixed easily enough, and they weren't bad enough that we had crashes or lost data. The only problem is, by the time that's happened, the competition from fellow Android manufacturers will have grown even fiercer. For now, for those who can afford it, we recommend it heartily. The Xperia Z is a great phone—the waterproof feature is incredibly fun to play with, the camera is solid as long as you have enough light, and the screen is both beautiful and responsive. Sony couldn’t help but slap its logo on the front of the phone and its mediocre software all over the home screens, but since the hardware is so high quality, it’s hard to mind much. The HTC One’s superior speaker and low-light photography give it an edge, but the Xperia Z is right up there with the top-tier Android phones, especially for fans of Sony’s other products—or butterfingers who want a stylish phone they can drop in the toilet once in a while. The Xperia Z is a surprise. From our original review, we knew it was a solid performer, but even with the Galaxy S 4 and the HTC One on the scene, it’s impressive how well it holds up to – and, in some cases, out-performs – its newer rivals. In fact, with all three flagships having shown their best side, we’re leaning toward judging the Xperia Z as the best all-round Android phone of the moment. At $99.99 down and then $20 per month – on top of service charges – for the duration of a two-year agreement, the Xperia Z is well priced, too. Great battery life, a highly capable camera, usable durability without the normal addition of heft, and sophisticated, discrete styling add up to a smartphone that rightly deserves the attention Samsung and HTC have been getting. If you decide to decide that T-mobile can become your carrier of choice (the WiFi calls would be my reason to switch), the XPERIA Z is a fine choice. It may not have the fastest hardware on paper, but it does possess a particularly responsive user interface which has nothing to envy from the fastest phones out there, on the contrary quite a few would gain to be as snappy. Overall, this is a very good phone that I think shouldn’t be judged on its hardware platform alone. Its design and relative ruggedness make it quite unique. We can’t give it an excellent rating because of the slightly slower hardware, but Sony came up with an excellent design and did a lot of great things in the software. The LG Optimus F3 packs some cool features like floating apps and Home button LED notifications into a lightweight design. However, while this Android phone is $29 with a 2-year contract, there are other devices in the same price range (or cheaper) that are much better. If you prefer compact smartphones, the 4-inch Samsung Galaxy Victory ($49) lasts longer on a charge than the F3. The Xperia Z is the first smartphone which Sony has really nailed. We love the stylish, desirable and rugged design. The combination of excellent performance, a stunning screen and great cameras make the Xperia Z a force to be reckoned with. There is very little to say about this phone that is negative. It’s not every day that you use a smartphone in heavy rain without a care, but the Sony Xperia Z is not an everyday phone. The Xperia Z is Sony’s current flagship android smartphone featuring IP55/IP57 dust and water resistance with toughened glass on the front and back. Overall we thought Sony's software layer on the Xperia Z was very helpful, perhaps the best interface and usability of the current batch of high-end smartphones. 0.146 kg: Solo algunos smartphones son más livianos que eso. 88.91%: Esta es una buena evaluación arriba del promedio. Sin embrago, no se olvide que 10-15% de todos los modelos de portátiles obtienen una mejor evaluación.